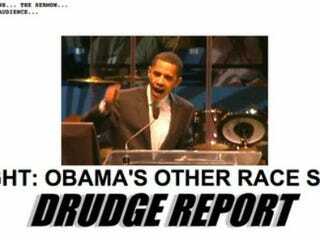 Race-Baiting Over Obama's Hampton U Speech? Race-baiting over Obama's Hampton U speech? A conservative outlet seems to be preparing to manufacture a controversy about the president talking — gasp! — to black people, about black-community issues, at a historically black college. He also mentions his pastor. In 2007. You don't even have to look at a calendar to know that the election must be getting close. They're promising the full video later, but you can already see where this is going. "Souls to Polls" aims to deliver the vote: Some African-American leaders, like the Rev. F.E. Perry, a Cleveland-based bishop in Ohio's Church of God in Christ, say that new voting restrictions make them feel as if 1960s barriers to black civil rights have returned all over again. Nicki Minaj shows off her real hair: If you've always wanted to know what's under the colorful wigs, you only need to go as far as Twitter. Great Recession no match for The Great MacDaddy play: Thanks in part to a $40,000 grant from the National Endowment for the Arts, a $10,000 angel investor, an efficiently run Indiegogo campaign and a host of private donors, previews of the performance begin Saturday, Nov. 10, at the 777 Theater in New York City, Black Enterprise reports.